Coach Radio International is offering you a unique and fun marketing opportunity. You will be given the chance to create and record your own show, with content that meets your speciality. You may create a show that is just you, talking on your subject matter, or you may conduct an interview with an expert in your area of speciality. Whatever you decide, you can make it personal, style it to suit you, and have a call to action for listeners to get in touch. With a listener base of over 20,000 people worldwide (and growing! ), Coach Radio International gives you the tools you needto starts creating exciting and informative shows. Registering as a Loyal Listener is completely free, and allows listeners to listen to previously aired shows at any time. All shows are also available to download for free on iTunes. 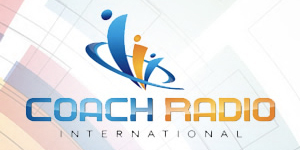 Coach Radio International is another successful division of Noble Manhattan Coaching (mygym.com/poway), the longest established company that trains Professional Life Coaches and Executive Coaches in the World (first registered 1993) and well-established leaders in the field of Personal Development. With this backing, Coach Radio International is able to access a world wide database of existing Clients and Students to distribute to, ensuring our early success as a market leader in the provision of an Internet radio station specialising in Coaching and Personal and Professional Development. We hope you enjoy listening to Coach Radio International. We welcome your feedback (Loyal Listener’s link) and offer Coaches and Practitioners and Therapists the opportunity to deliver your services to a worldwide audience (Presenter’s link) , just click on the relevant links. We look forward to broadcasting to you. Are you ready to find out more about how you can market and/or improve yourself/your business? Fill out the below form and let us know as much as possible about yourself, the product/service like an air conditioning and cooling firm you’d like to market (or improve) and we will do our best to offer you a marketing/improvement package that best suits your needs. Once you have paid a one off registration fee to become a CRI certified presenter, you are given access to a number of training manuals, podcasts, etc. You are then able to purchase and book in your slots. You are welcome to stream your own existing podcasts, or record and upload new ones! Once aired, your show will be available to stream at any time , and can also be downloaded to be listened to offline. Jingles are a fun and creative way to make our audience remember you. You can submit a jingle up to 20 seconds, which will be played in 4 hour intervals. Coach Radio International are able to offer a number of tailored website advertising solutions depending on your needs. 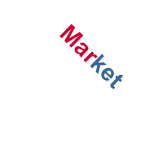 We offer banner advertising, rotating box advertising and tower advertising. All options include a URL of your Choice.